With recent articles in the news of fathers owing back child support and being incarcerated for such, it is noteworthy to familiarize oneself with the child support laws. In most cases, one parent usually pays child support to the other, usually the parent who has the higher income and sees the children less–the non-custodial parent. Traditionally in the past, sole custody rested with the mother but currently times have changed. Today, more and more fathers are seeking and gaining joint or sole custody of their children. If you are facing a family law issue such as divorce or paternity, it is wise to contact an attorney to discuss such technical and legal matters. The attorneys at Stange Law Firm, PC focus exclusively on family law and have the experience to handle child custody matters. Once the child support amount is set, it must be paid or else the parent who owes may face motions for contempt, criminal charges and could ultimately end up incarcerated in extreme cases. Where most of the confusion lies is in the area of past due child support and the modification of a child support obligation. In order to modify a child support order, there must be a difficulty or hardship in making payments due to a change in circumstances that is significant and continuing. A lot of times, a person who owes child support falls behind on their child support payments due to a change or loss of employment, but they fail to file for a modification immediately. Again, if you find yourself having a hard time keeping up with child support payments, contact one of the attorneys at Stange Law Firm, PC for help. They offer a free one-hour consultation in which they can discuss your issues. 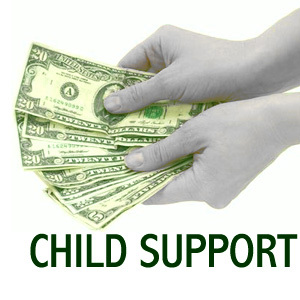 The number to reach is 314.963.4700 or contact us at St. Louis, Missouri Child Support Law Firm.